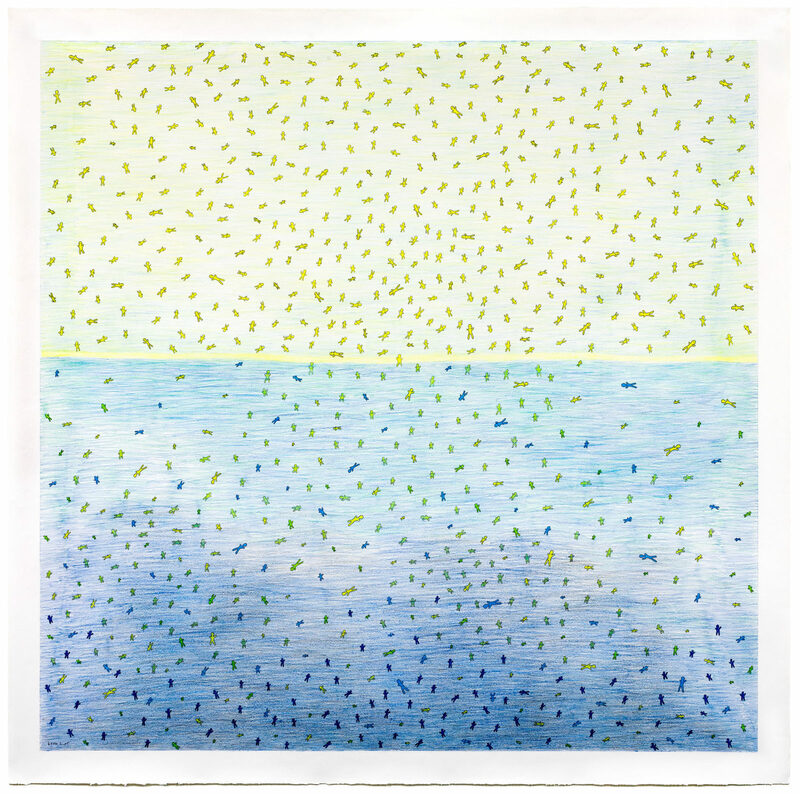 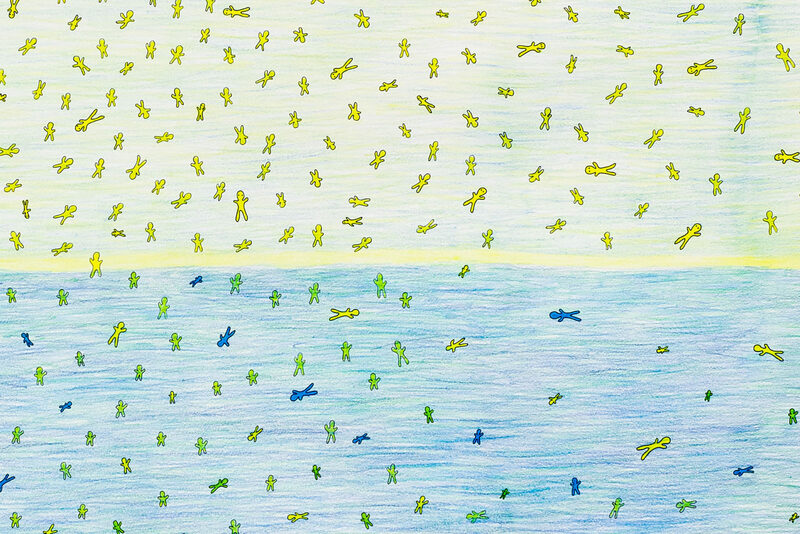 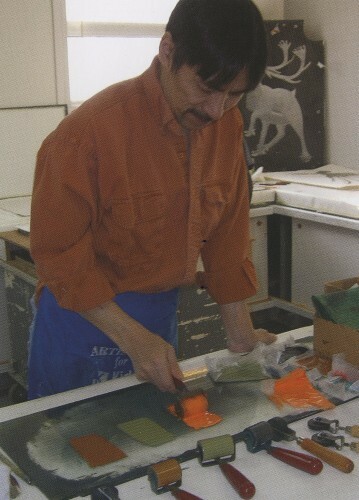 untitled (little people sunrise), 2012, color pencil, paper, 49.75 x 50.25 in. 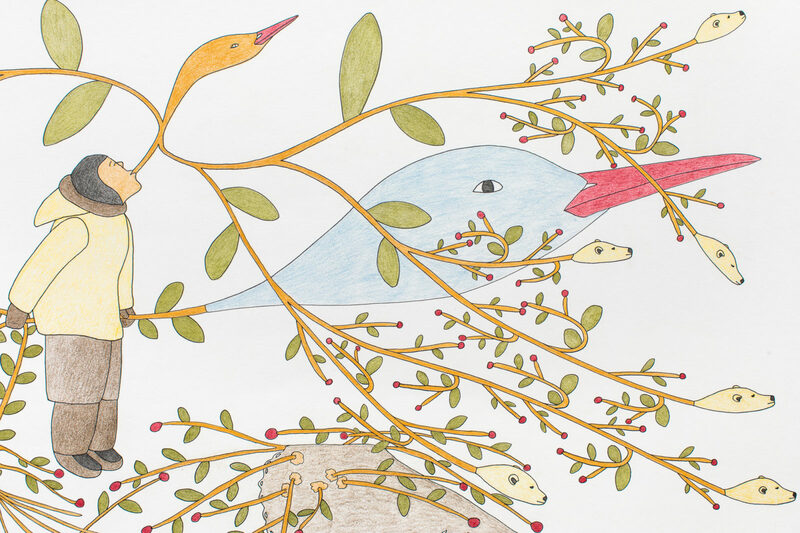 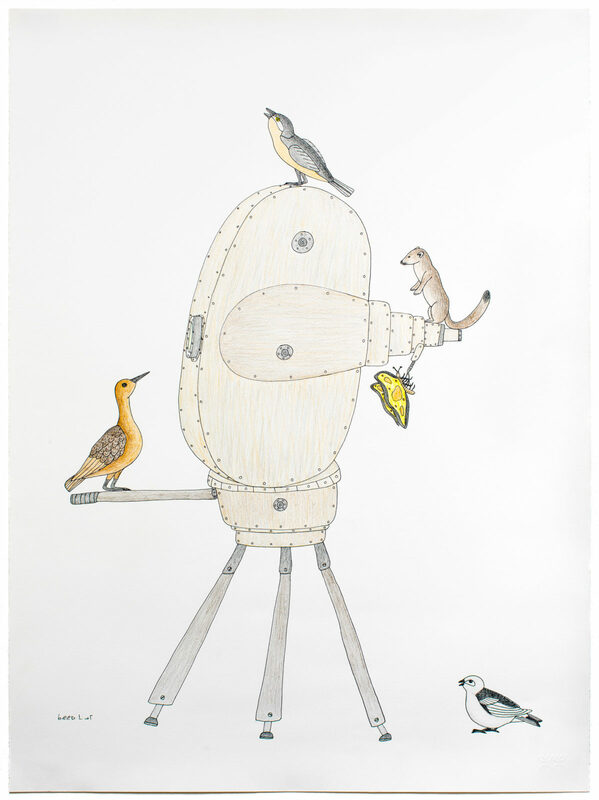 untitled (animals inspect camera), 2008, color pencil, papaer, 22 x 29.75 in. 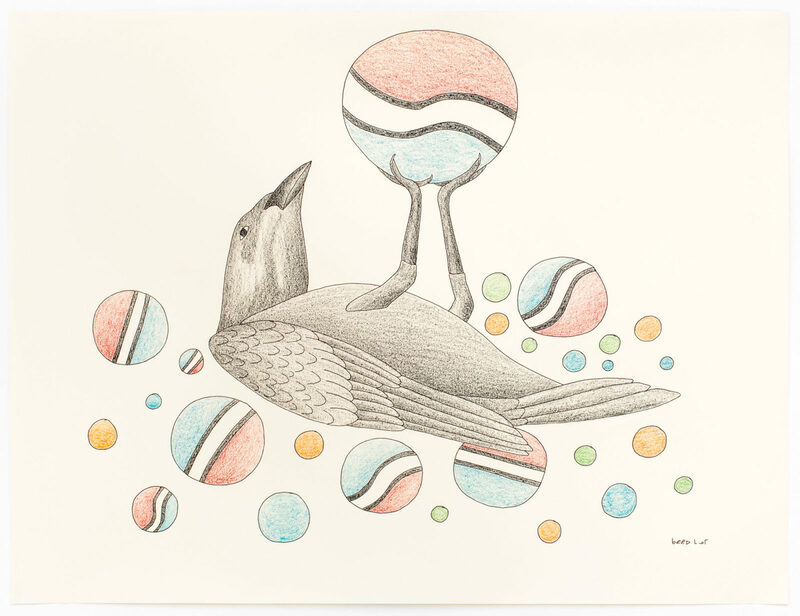 Bird With Pepsi Balls, 2006-07, color pencil, ink, paper, 20 x 26 in.